The “R-R” flowmeters with the needle valve are produced in acrylic material (PMMA) only and with the indicator made by different materials: AISI 316, Hastelloy or PVC for the aggressive liquids. Max. thermal endurance is 70 °C. 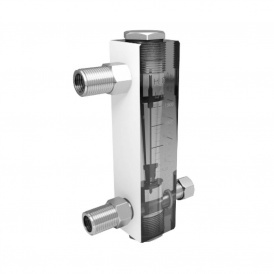 They are equipped with the needle valve in nickel-plated brass or stainless steel. 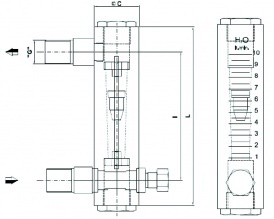 The flowmeters can have threaded square connections. Maximal test pressure: 10 bar.